OYO 6018 Ethnic Facilities is an economic and simple property located in DLF Phase 2, Sector 25, Gurugram. The nearest metro station is MG Road. The property has simple yet classy decor. The walls are done up in a light shade and the colorful artworks on them add up a fresh charm to the rooms atmosphere. Each room comes with an AC, TV, and free Wi-Fi. 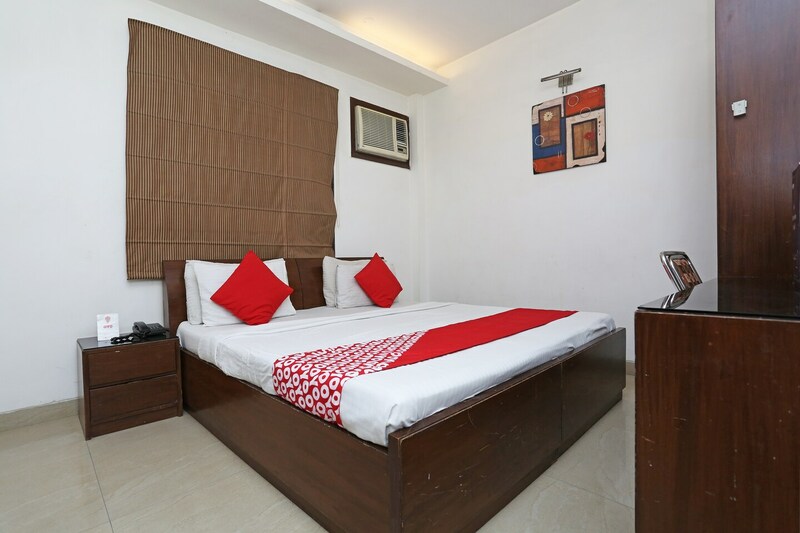 The hotel offers power backup, parking facility, and laundry facility. They also accept card payment and the property is under CCTV surveillance.The popular eateries in the vicinity are FreshMenu, Stone Oven La Piazza, Barista Lavazza Espresso Bar, Haldiram's, and Sindhi House. DLF Mega Mall, Cross Point Mall, JMD Regent Plaza Mall, Yaqsh Diamond Pvt Ltd, and City Centre Mallare the nearby shopping hubs.